Parking Instructions for #CMCLE - Friday, January 18th. We believed there would be a free option for parking for CreativeMorning this Friday (with a substantial walk) but unfortunately, that’s not the case. There are some VERY affordable options in Playhouse Square, as low as $5 and less on the street. 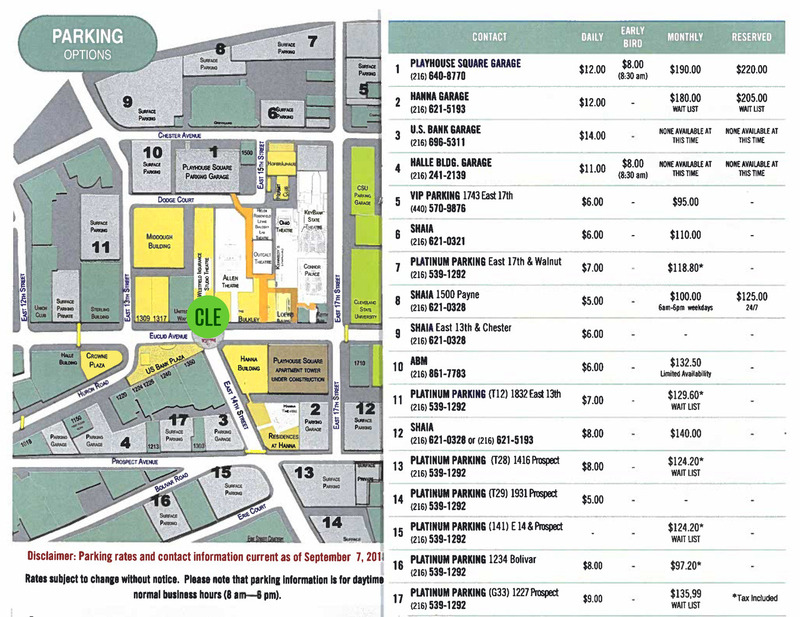 See the map detailing options and pricing in the neighborhood. There is also CSU Visitor parking a few blocks away for $4. CreativeMornings will be on the 6th Floor of the IDEA Center, right next to the giant chandelier. Check-in Begins at 8:30am - Talk to start at 9:00. If you can not make it please release your registration so we can plan accordingly. Thank you! “In a dream, you’re on a movie set… what’s your role? Actor? Director? Camera? Staying out of the way?